With all the different types of temperatures happening around the Adirondacks, various types of ice are forming as well. • A snow crystal is a single crystal of ice. • A snowflake is not frozen rain. Frozen rain is called sleet! Take a magnifying glass outside and a black piece of paper and look at the different types of crystals forming. Have fun! 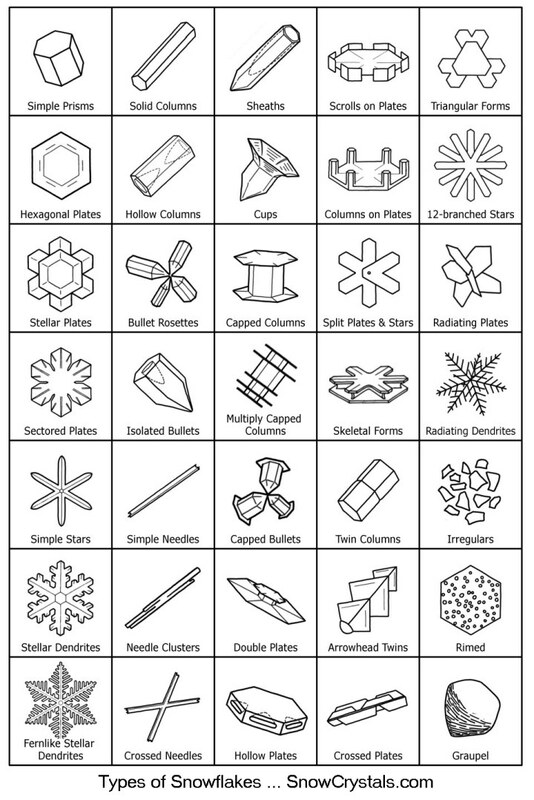 Check out Ken Libbrecht's Field Guide to Snowflakes for a great resource for discovering all the differences between types of snowflakes and the conditions that cause each one!